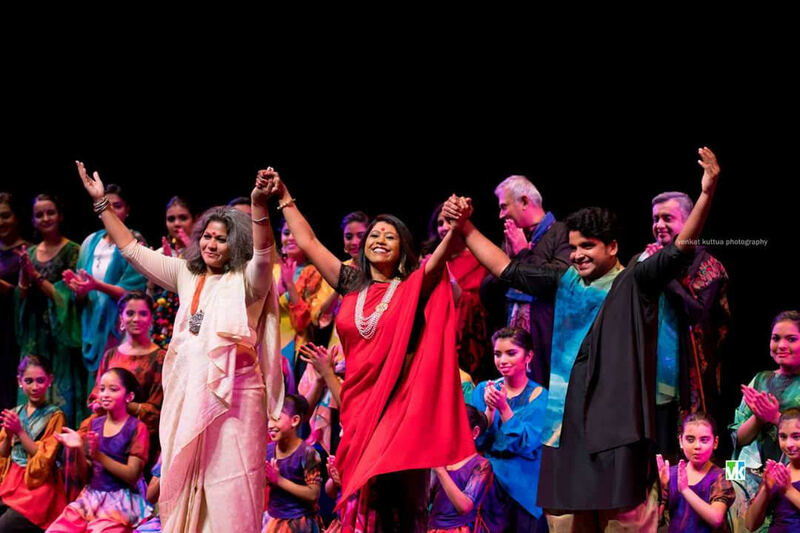 Atlanta, GA, December 8, 2017: Opening with an astounding, aesthetic, colorfully layered ensemble, (Un)Masked, a Third Eye Dancers and Bharathakala Naatya Academy production, made its mark at the Infinite Energy Center on Sunday October 29, 2017. 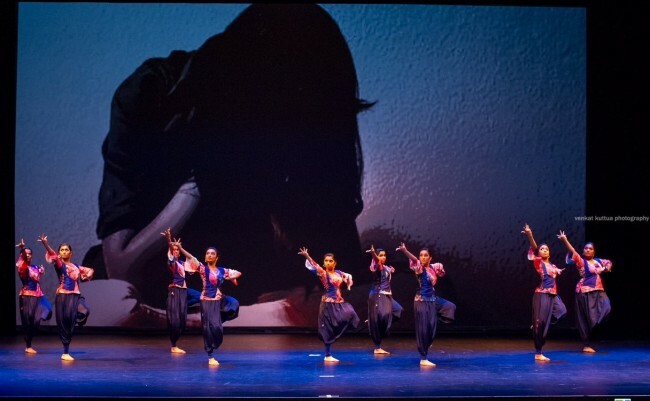 The sold out show, an eclectic dance conglomeration choreographed by Subathra Sudarshan, with creative inputs from Delhi’s popular designer Sandhya Raman, and enacted delightfully by students of Bharathakala Naatya Academy, was a visual treat for the art lover, and poetic in its presentation. 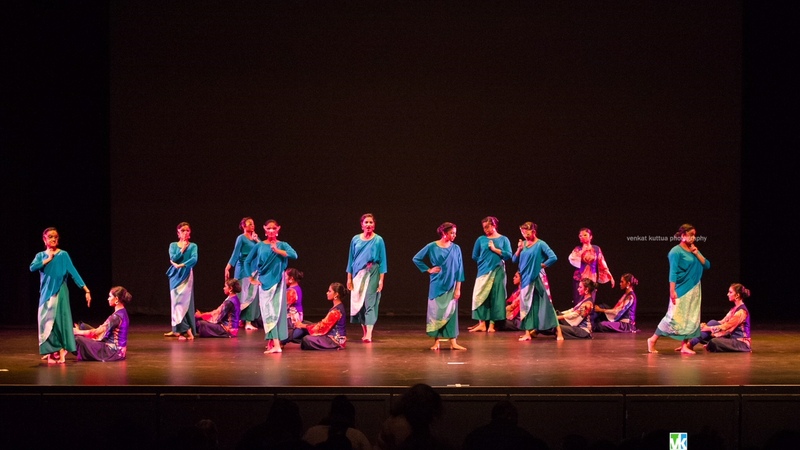 Retaining the original grammar of Bharatanatyam, the show blended a novel updated version of the dance form and costumes creating a mystical, whimsical milieu of grace and grandeur. The event was sponsored by 8 Miles Media. (Un)Masked raised $10,000 for children with special needs. Funds raised and contributed to International Medical Health Organization (IMHO) will benefit Neuro-developmental disorder centers in Batticaloa and Jaffna in Sri Lanka. A notable aspect of this particular production is the fact that the costumes were made from digital reproductions of the artwork created by children with special needs. Sandhya Raman works with differently abled children and is a recipient of Stree Shakti Puraskar for her contribution towards using design for development. Like the various layers of clothes in the opening act, various emotions of a woman- love, happiness, fear, anger, disgust, sadness, courage, surprise and tranquility encircled Meena, as her conscience walked us through her journey. Meena, now an aging grandmother narrates her own story to her granddaughter; only, the granddaughter does not know it. A carefree spirit, Meena has a mind of her own, dancing the starry night away with her friends. She falls in love with Dev, the ferryman. But family and society does not approve. Smeared with Meena’s tears and fears, the screen morphs from the mask of innocence to mask of sindoor, the bride. A witch dance highlighted Meena’s turmoil, as she accepts Raj as her husband. Raj is a good person but does not comprehend the need for Meena to take up a job, with all the household chores at hand, symbolically presented with girls holding pots, pans and dustpans. Now a mother, Meena turns to art for comfort with reassurance from Lydia, who also rose above her own adversities. She finally gets a job, even as her apathetic husband continues to ignore her achievements until one day, at the grand finale of a fashion show with artwork from Meena’s autistic students, nicely hemmed into the script, garners accolades and awards. He finally accepts he is proud of her. Creative usage of art forms to unravel the protagonists’ predicaments in choice of self over relationships as a daughter, friend, lover, wife, a mother or grandmother engaged the audience. “(Un)Masked is the story of a woman, who chooses to stay within the realm of society but also manages to uncover her true self. She does not walk away from a husband indifferent to her aspirations, but rather chooses to continue her family responsibilities while finding her purpose in working with differently abled children. The husband eventually recognizes her competence and admires her diligence,” explains Subathra. (Un)Masked featured accomplished dancer, teacher and choreographer Gopukiran, as one of the leads. Gopukiran currently serves as a faculty member of the Dhananjayans’ Bharatakalanjali in Chennai India. He is also the director of Mahodaya School of Bharatanatyam, Chennai. Lead actors Arun Ramachandran, Aruna Srinivasan, Harini Indrakrishnan, Shreya Visvanathan and Shruti Sunil portrayed characters with ease, along with a vibrant supporting cast. “Costuming is a specialized field that calls for deep articulation and blending several facets like form, function, culture, history, while retaining the original character of the dance form. It demands extensive detailing for ergonomics” opines Sandhya Raman. Sandhya, an alumna of the National Institute of Design, was part of NID’s first batch of Apparel Design students. What sets her apart is her unique choice of costume design that caters to classical dance forms using vibrant colors and evocative artwork. Sandhya curated “When the Pleats Dance” an exhibition focusing on the evolution of four decades of dance costumes. She recently started DESMANIA Foundation to promote young artists in the areas of music, dance, and creative arts and crafts. “We love it. The costume is so comfortable – the students said after they had tried on the costume for the first time and they were all put together in India. That’s the satisfaction a costume designer looks for” quotes Sandhya Raman. “Dance is a very communicative art and inspires me. Classical dance forms demand strenuous movements. The pressure on the designer is to make a garment that wears well on stage” she adds. Sandhya Raman, Subathra Sudarshan, and the cast of (Un)Masked. Photos by Venkat Kuttua Photography. Speaking of her collaboration with Sandhya Raman, Subathra is quick to admit that Sandhya was her first choice. “I called her on a whim, as soon as the idea flashed to me,” she says. Brainstorming with Sandhya Raman further gave her the idea to introduce the profession the lead character Meena chooses to be related to children with autism. It fit perfectly with the cause the fundraiser was working for. That Sandhya Raman works with differently abled children was an added bonus. “My students also were equally, enthusiastically involved” beams Subathra. The idea to include soft English music into the production was seeded by them. Featuring homogeneous, harmonized concoction of background music, (Un)Masked featured popular English music from Pirates of the Caribbean, Moana, Touch the Sky, Beauty and the Beast, Lionel Richie’s Lady, Hindi songs Sawan Ka Mahina, Nagada along with I met bach at my house, Thaka Thaka Dhum, a song by Anushka Shankar, Maari Thara, Narumugaiye, and Charishnu. Launched by Subathra Sudarshan in 2007 with 15 students, Bharathakala Naatya Academy has grown leaps and bounds with over 200 students over the years. No stranger to recognition, Subathra is a recipient of many awards including title of “Naatya Poorna” by her Gurus, “Naatya Mayuri” by Guru Srinivasa Arka in London, “Nritya Sevika” by Nadhabrahmham in India for exemplary humanitarian contributions through naatyam (dance) to give back to the community locally in USA and India and 2013 Humanitarian award by GAPI. She is also the founder/director of Third Eye Dancers, a non-profit organization that promotes art forms and charitable giving through dance. Subathra was invited by the Government of China to perform for the Silk Road. 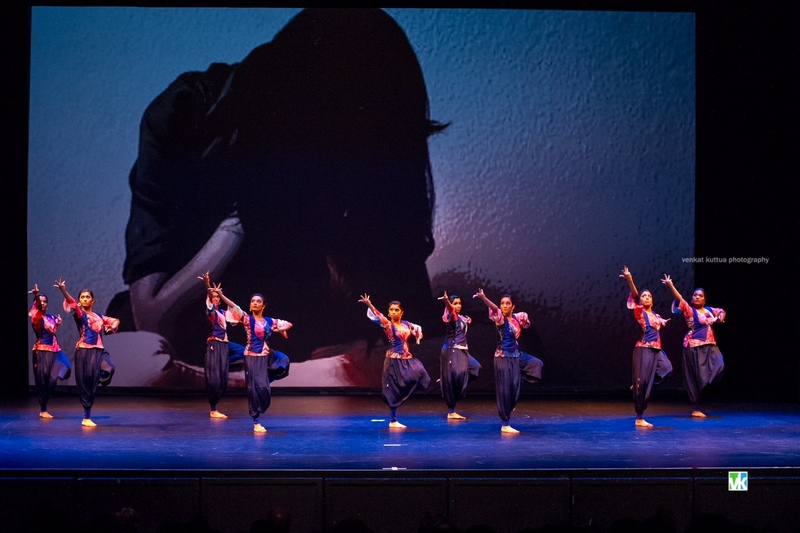 Bharathakala along with Third Eye Dancers has raised and donated over $200,000 for various causes and charities over the past ten years. IMHO works to improve and develop healthcare services and infrastructure in under-served regions worldwide. IMHO has been supporting initiatives on autism, diabetes, alcoholism, heart disease, hospice care, nutrition for poor, malnourished mothers and kids, children’s education and welfare, and health care infrastructure still trying to recover after years of hardship across Sri Lanka.